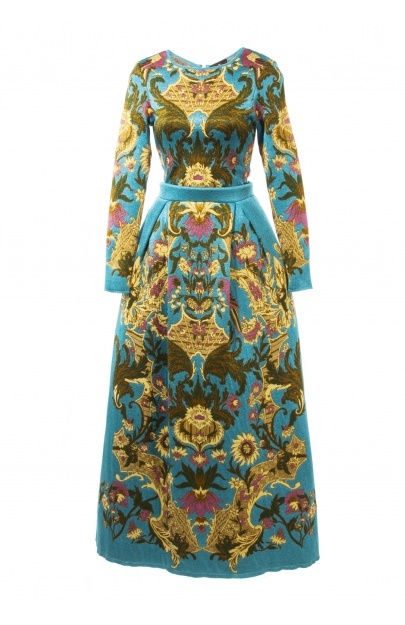 This flattering silhouette of sky blue and goldenrod dress is a signature of AW15 collection. Crafted in the UK from soft viscose, this ladylike style has a nipped-in waist and a full skirt. Balance the maxi length with heels.